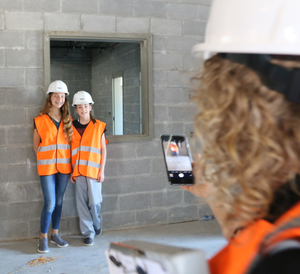 Sophie Wells is an eighth-grader at Christiana Middle School. 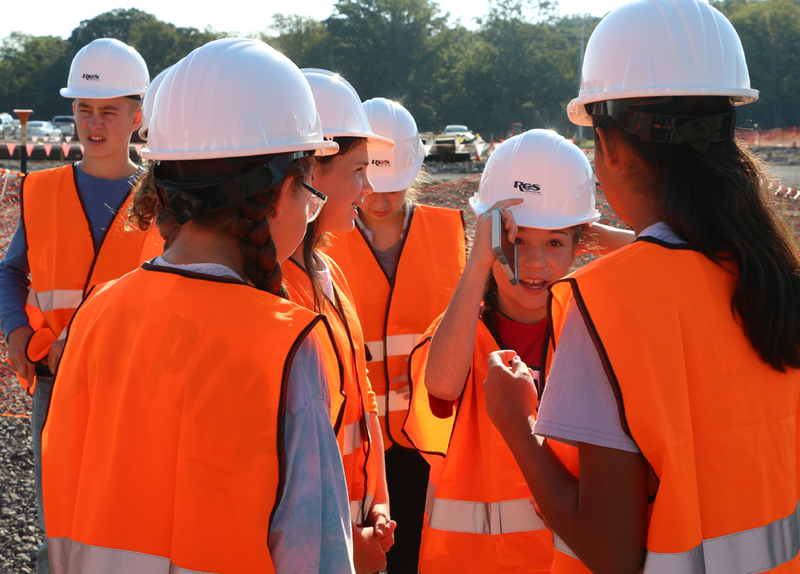 She is planning to be a civil engineer when she grows up. 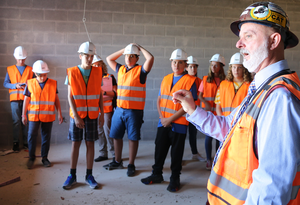 After touring Rockvale High School, which is currently under construction and planning to open in August, Wells has a backup plan. 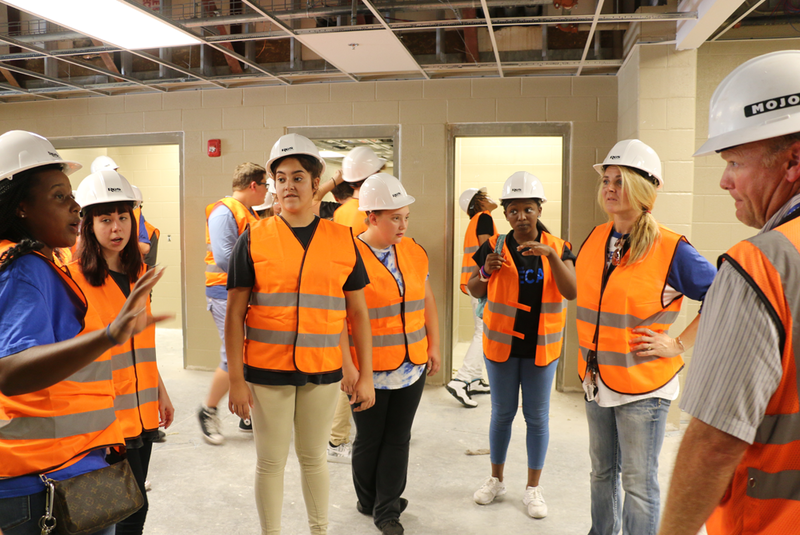 “Construction is a career many people don’t choose and it is something that has openings,” she said. “Who knows, if civil engineering doesn’t work out, construction could be the way to go. Similar to Wells, Allana Barnes had a general interest in seeing how schools are built. Wells and Barnes were two of 15 seventh- and eighth-grade students STEM instructor Dawn Powell brought over to the Rockvale site as part of the Trades Week Tours arranged by the Rutherford County Chamber of Commerce and Rutherford Works. 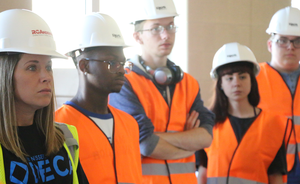 The trades week focused on construction. 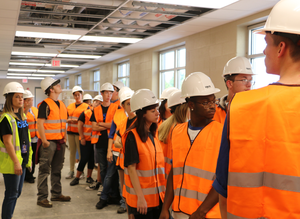 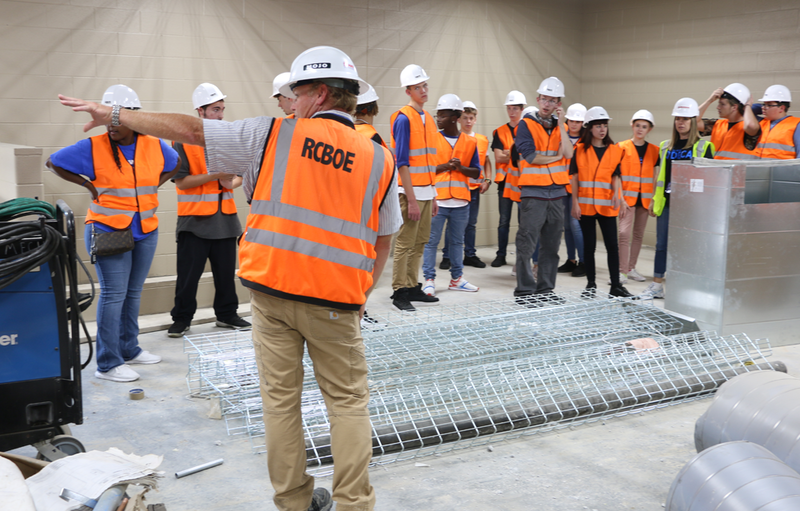 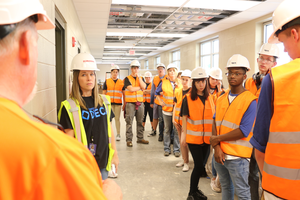 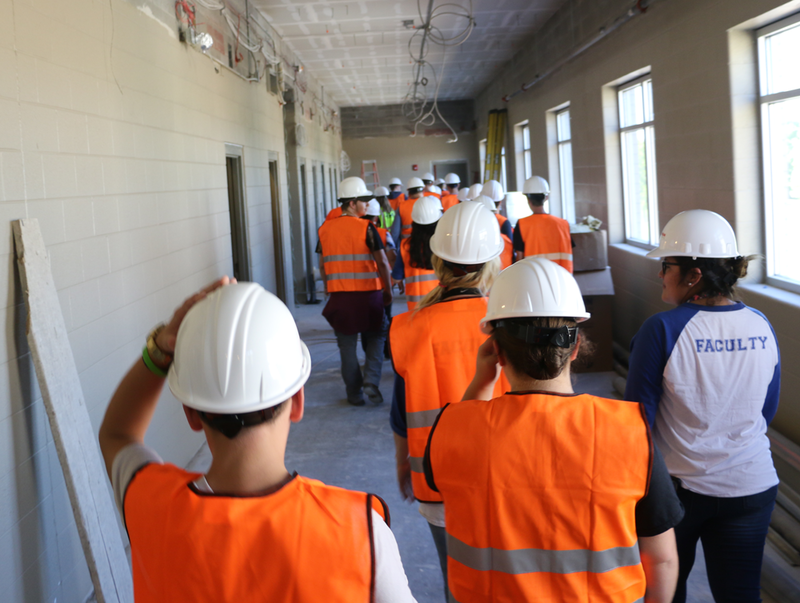 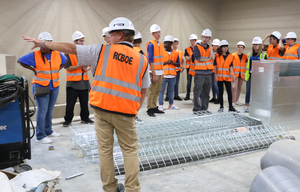 In addition to Rockvale, there were tours at the Tennessee College of Applied Technology, HCA, DeAngelis Diamond Construction, and several students from Holloway High School toured the new addition at Siegel High School, which is also currently under construction. 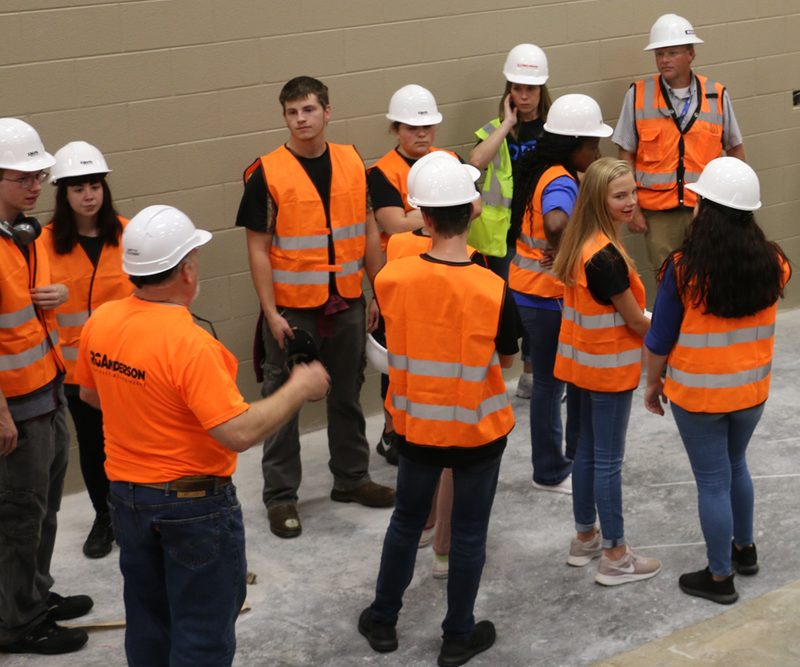 Powell said a lot of students have not had exposure to industries outside of where their parents work, which makes the Industry Week Tours more important, especially considering they choose their high school pathway in eighth grade. 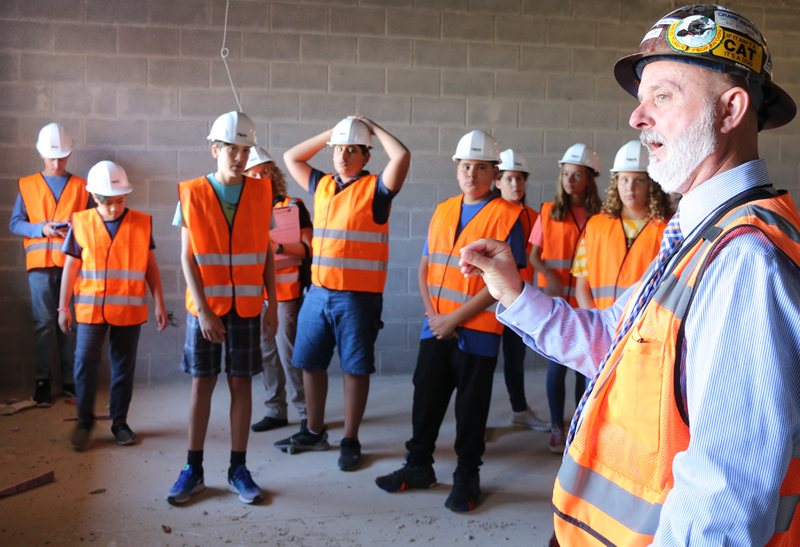 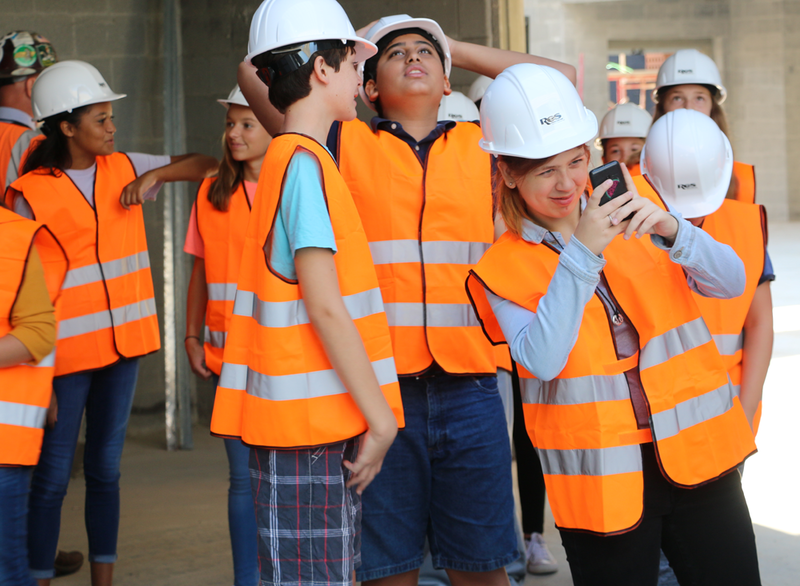 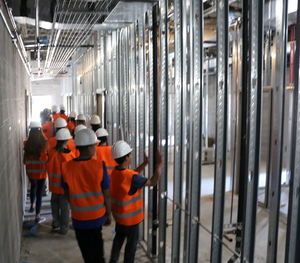 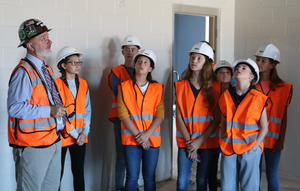 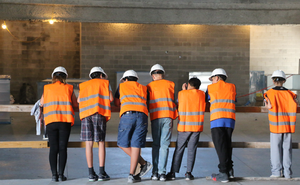 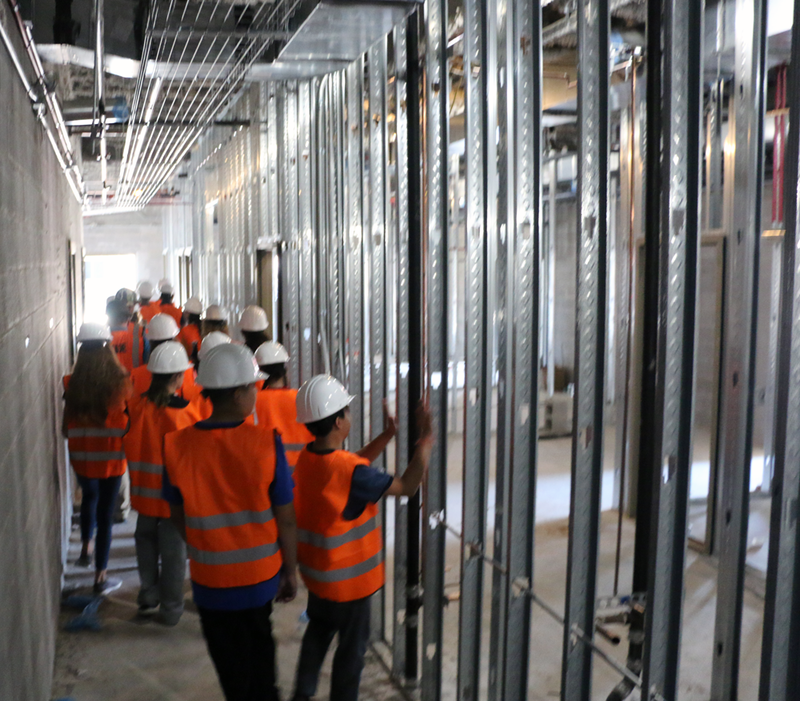 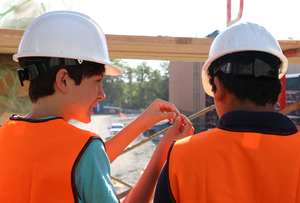 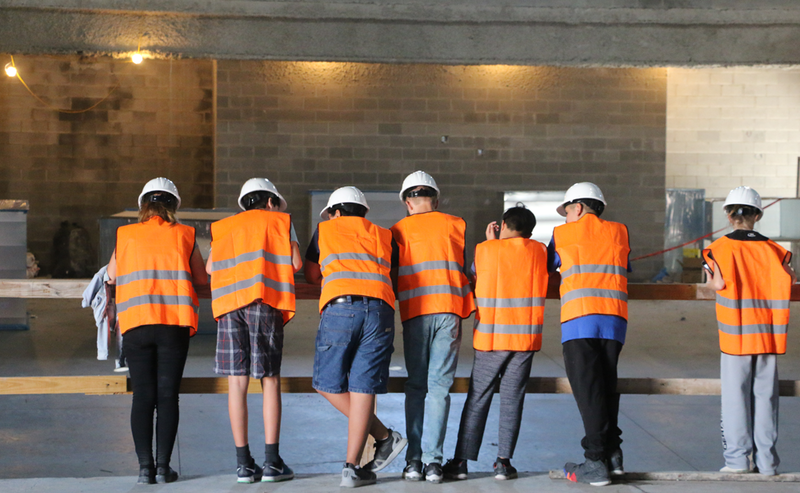 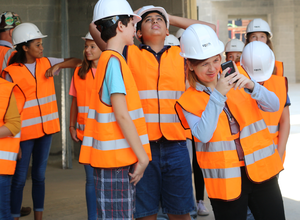 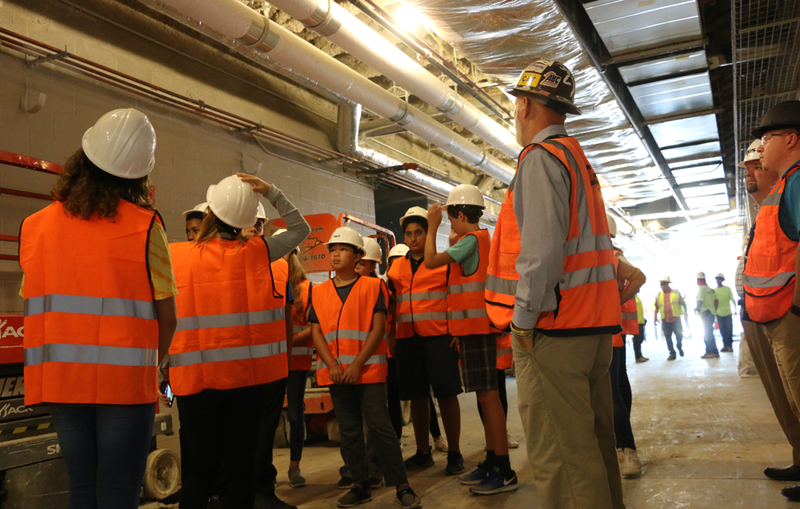 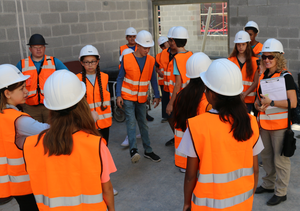 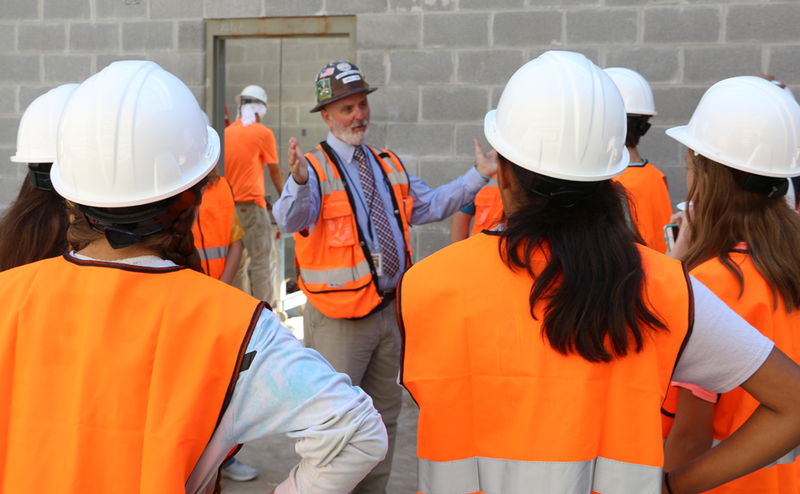 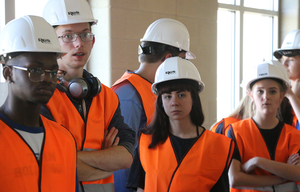 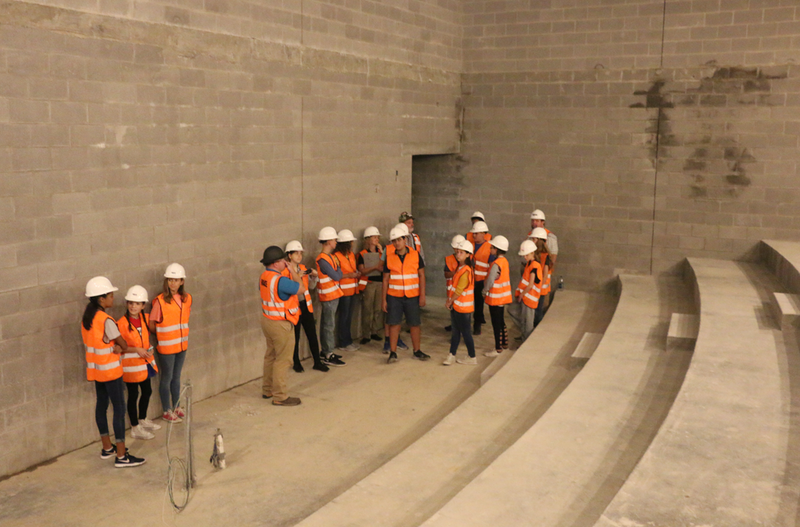 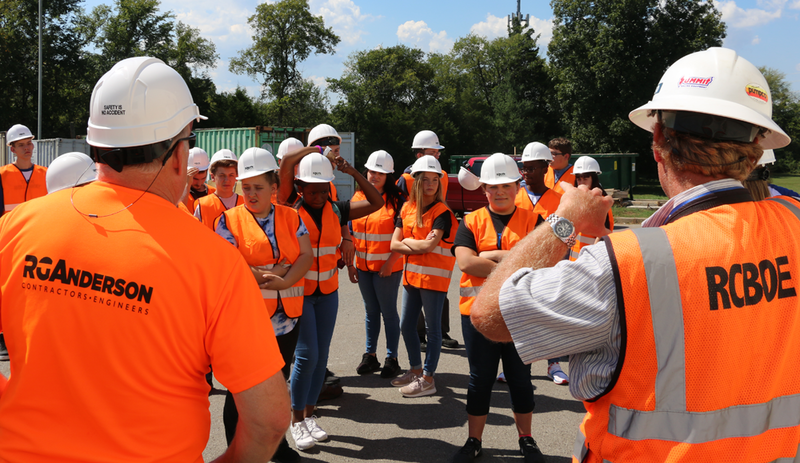 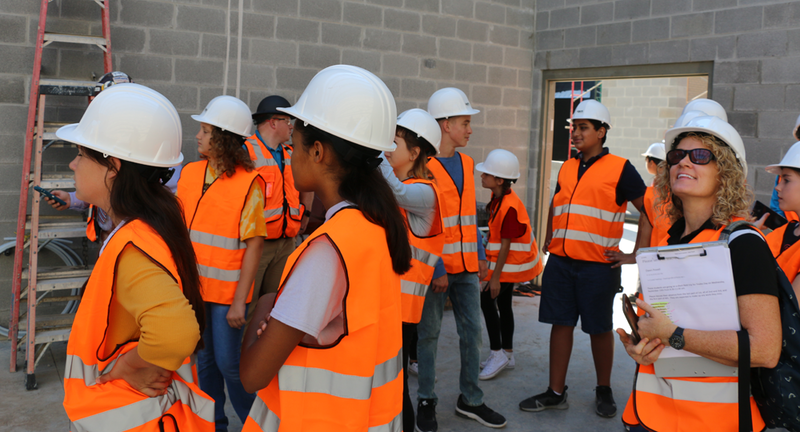 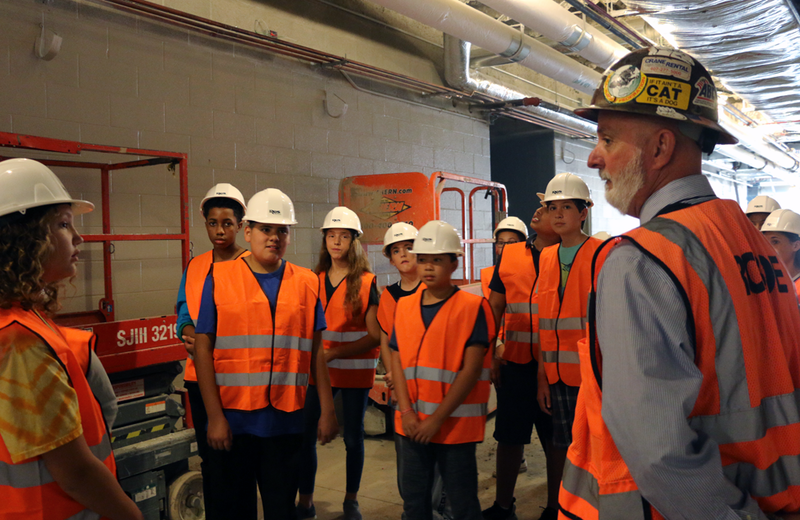 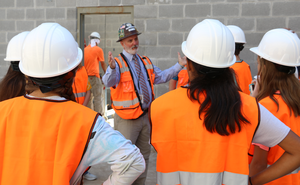 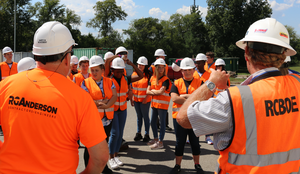 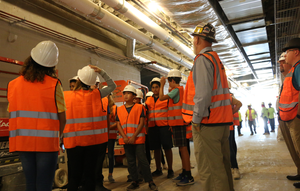 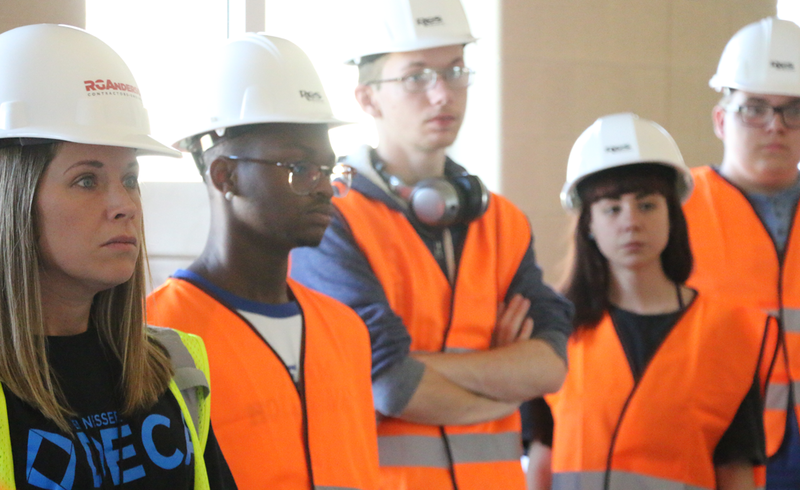 Construction tours allow students a firsthand look at what goes into building a school as well as the difference between residential and commercial construction. 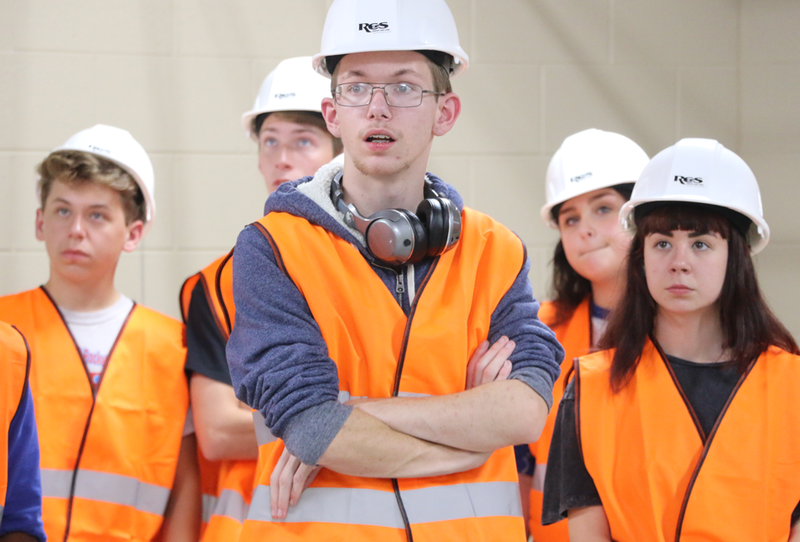 “We want them to see how many jobs are out there,” Powell said. “I appreciate the Chamber of Commerce and Rutherford Works” for putting events and trips like this together. 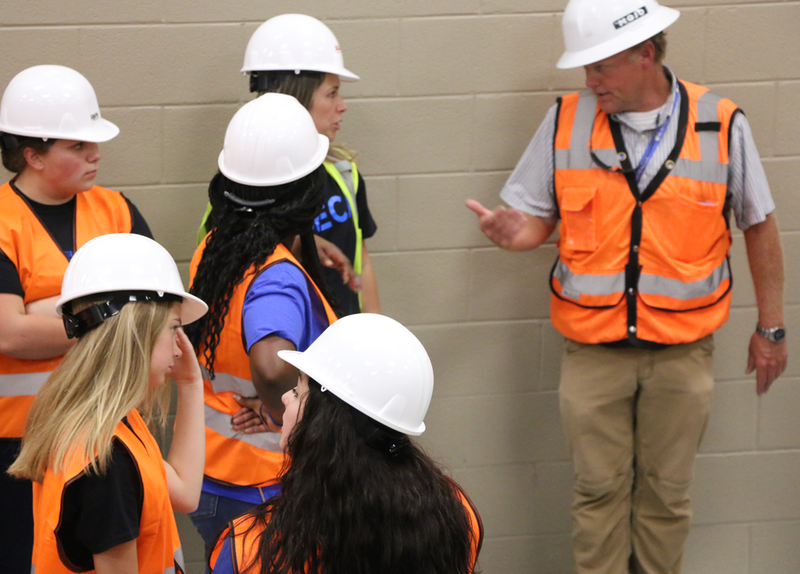 Another of Powell’s students, Jill Morris, comes from a family of engineers. She has relatives working as civil, structural, mechanical and environmental engineers. 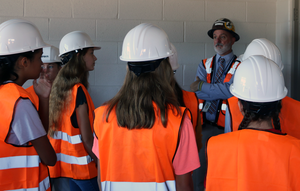 Rutherford Works will continue Industry Tour Weeks the week of Oct. 8-12 with Manufacturing Week and again from Oct. 23-26 for Health Care Week. 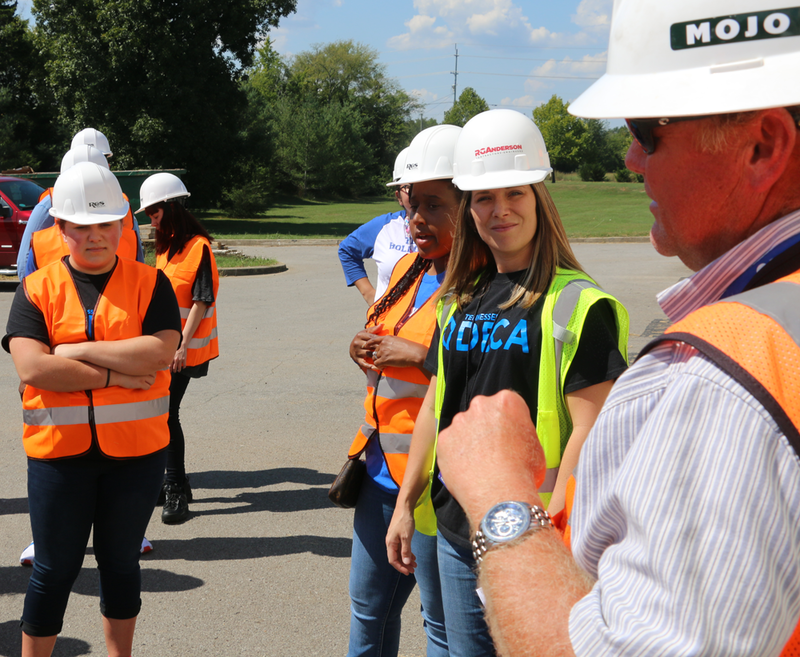 Businesses such as Bridgestone, Valeo, Turner Machine, Calsonic Kansei, St. Thomas Rutherford, Interfaith Dental Clinic, TriStar and Broadmore Senior Living are among the businesses taking part in the upcominging tours.